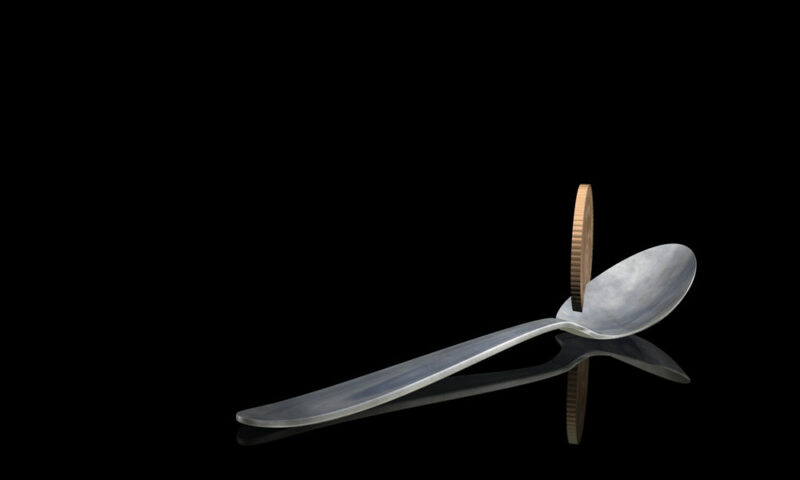 In Spoonful, a generic silver spoon rests on a dark reflective surface. A United States Gold Eagle coin, rapidly spinning on its edge and also reflected in the dark surface, moves toward the resting spoon. 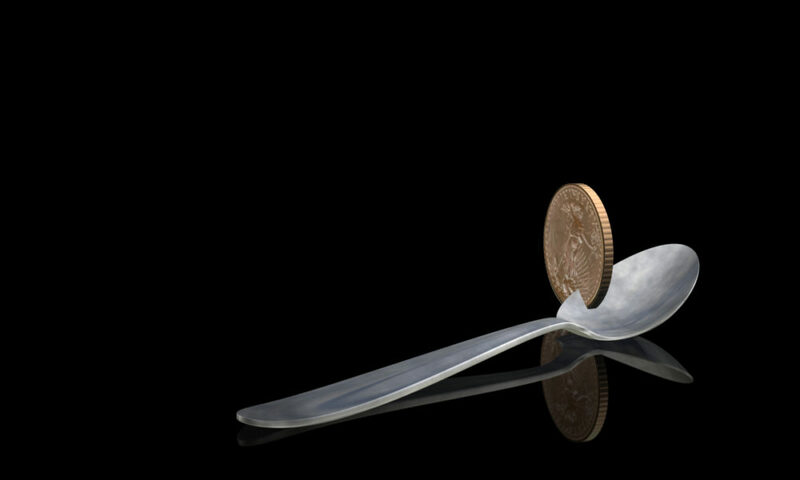 At times, the spinning coin passes through the surface of the seemingly untouched spoon, yet at others, the laws of physics prevail, and the force of the coin’s rotation kicks the spoon, knocking it across the surface. 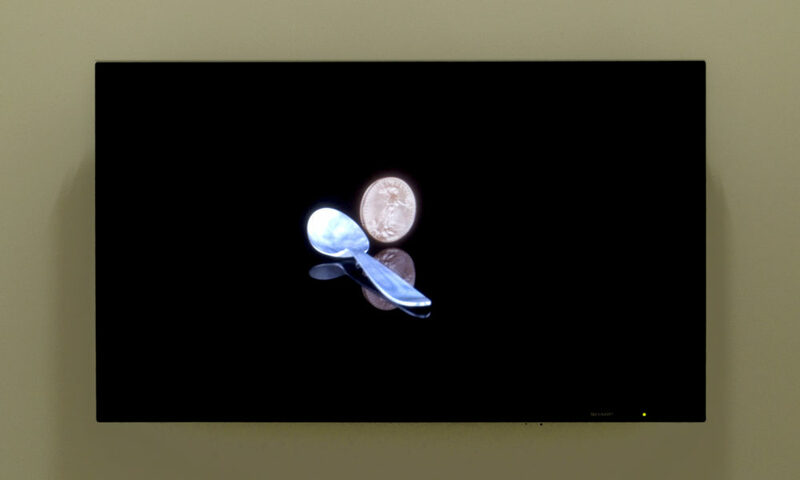 As the sequence ends, the coin spins into the mouth of the spoon, slowing down its rotation, and then quickly regains its momentum, once again forcibly pushing the spoon across the surface as the coin comes to a final rest. “Surrèalités,” CentrePasquArt, Kunsthaus Centre d’art, Biel, Switzerland, August 19 – October 21, 2007. Surréalites: Aspekte des Surrealen in der Zeitgenössischen Kunst. (German and French) Biel: CentrePasquArt, Verlag für moderne Kunst Nürnberg, 2007, pp. 68 – 69. Ramos, María Elena. Gary Hill. Caracas: Centro Cultural Chacao, 2009 (in Spanish), pp. 20 – 21.